Following on from my previous article “What are Glass Prints,” we also get asked what do they look like on a wall? We have therefore decided to do a follow up article with a video below so you can all see for yourself. 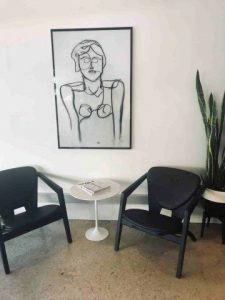 For all modern art lovers out there or people who like new trends this format in art is definitely something to consider to add to your art collections. Personally I just love this format hence why we specialise in it. Once installed on a wall, you will discover a real presence with the artwork that is contemporary, sleek and seemless. This is achieved with the fixings provided. The provided plate gets attached to the wall then the artwork which has its own backing plate sits on top thus providing the illusion that the artwork is floating just off the wall. 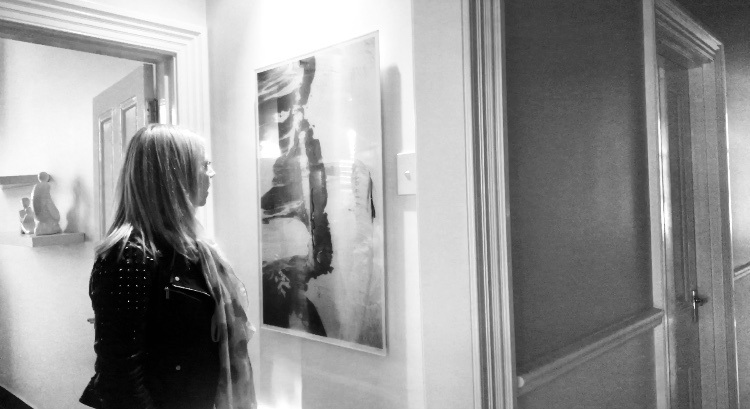 Together with the polished edges, thin structure and reflective nature of glass this classy format compliments the modern abstract nature of our Sarah Jane Art beautifully showcasing the artwork. 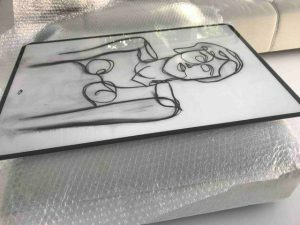 With interior designers and home stylists starting to take notice of this relatively new art medium we hope you love the lively aspect of Glass Prints as much as we do. It is a perfect way to modernise a home or business. Made in Australia and from Toughened Glass (not acrylic glass like other cheaper versions) our products are top of the range. Yes they are heavy but the fixtures provided support all the weight so although you can install yourself we suggest using a professional.